Angle iron rings are pressed or rolled. 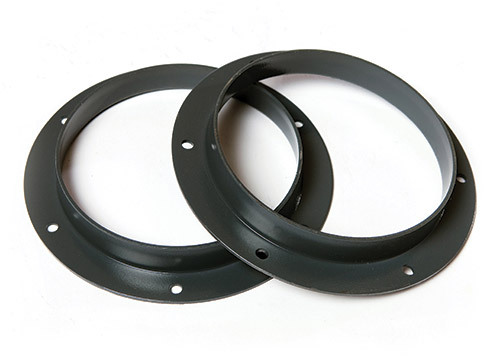 These flanges are used to connect the pipes and other equipment in the Snap It system. Flanges also make it easy to access the equipment for cleaning, inspection, or modification.